Special control characters can be used to format text output in Matlab’s Command Window. 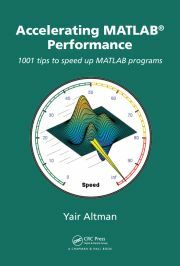 With my Matlab-Java book being published, reader feedback is requested about the next book project. Converting Java vectors to Matlab arrays is pretty simple – this article explains how. The javacomponent function is very useful for placing Java components on-screen, but has a few quirks. There are many reasons for the numerous undocumented aspects in Matlab – this article explains them. Undocumented Secrets of Matlab-Java Programming (ISBN 9781439869031) is a book dedicated to the integration of Matlab and Java. The information of whether or not an axes is zoomed or panned can easily be inferred from an internal undocumented object. Multi-line tooltips are very easy to set up, once you know your way around a few undocumented hiccups.